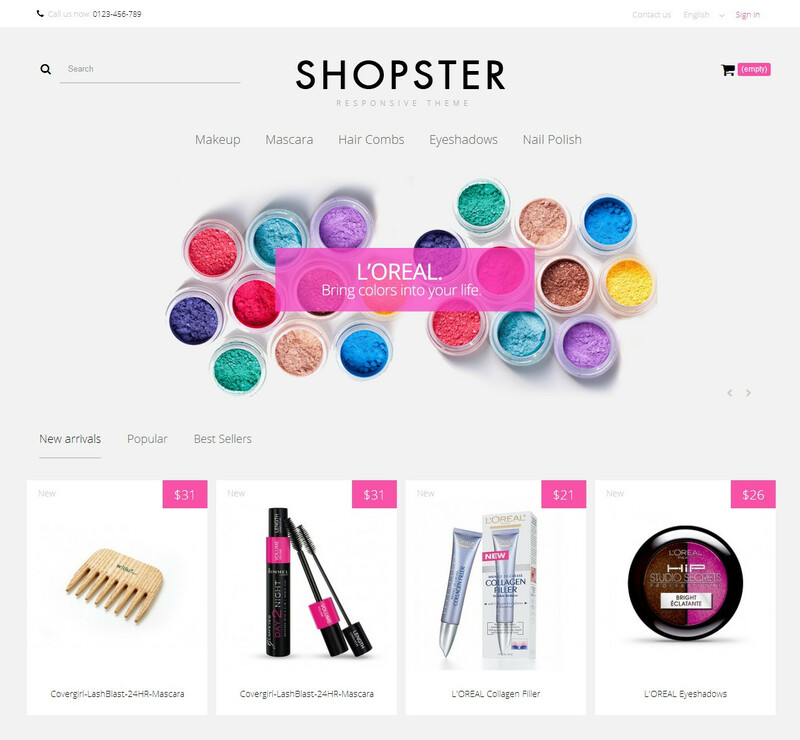 Shopster Glamour Content First Responsive theme is a variation of the main Prestashop 1,6 Shopster template which is meant to give a specific touch of glamour and sophistication on your store. 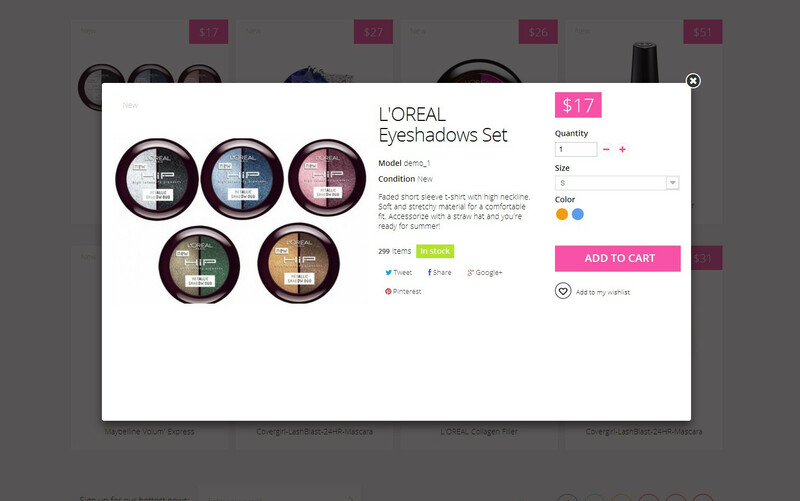 Also check out two other variants of this template. 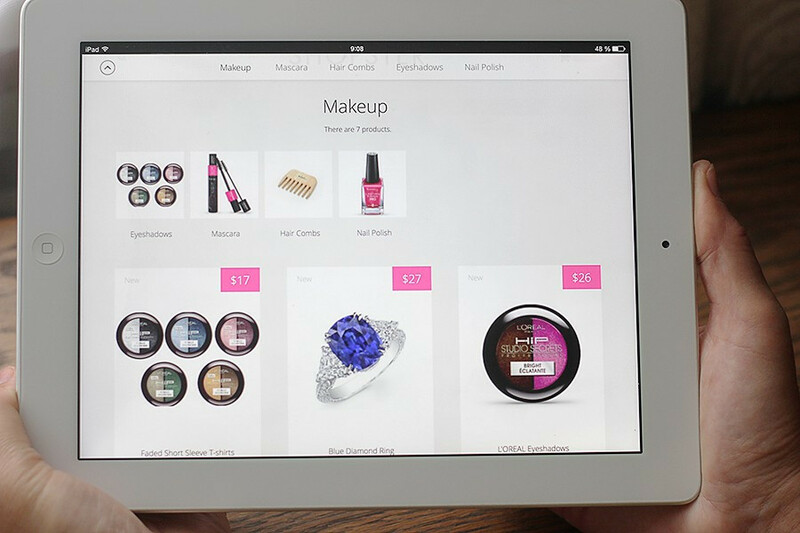 PSD Slides & Banners Included! 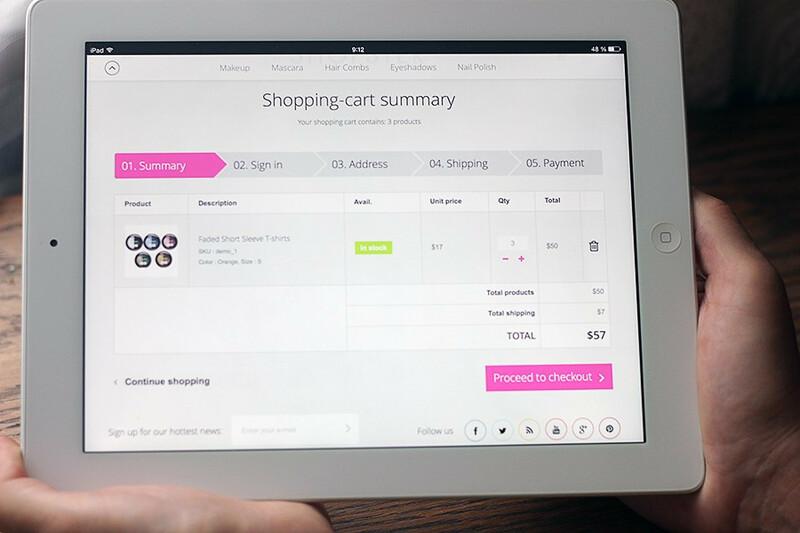 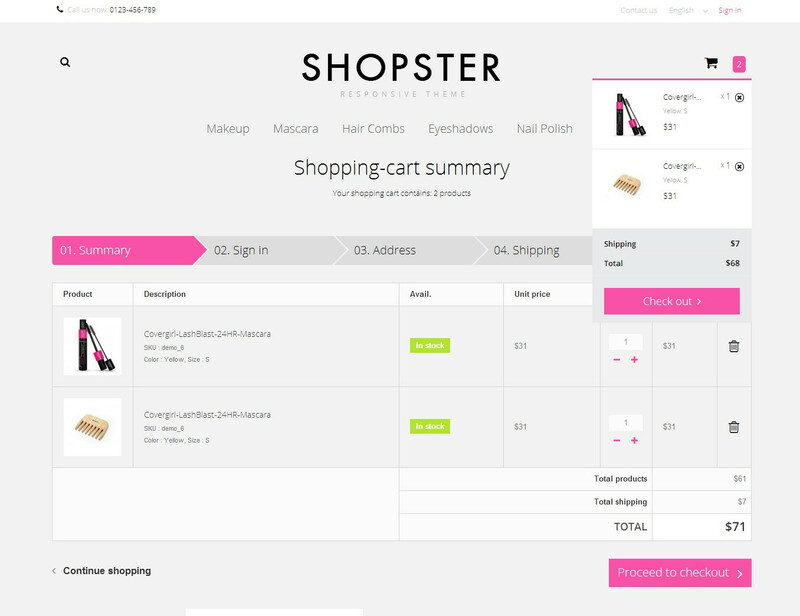 Shopster Glamour is a new Content First Responsive Prestashop 1.6 Template. 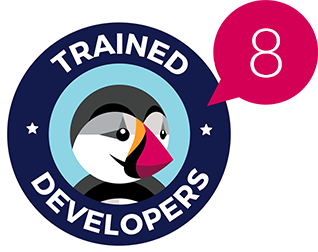 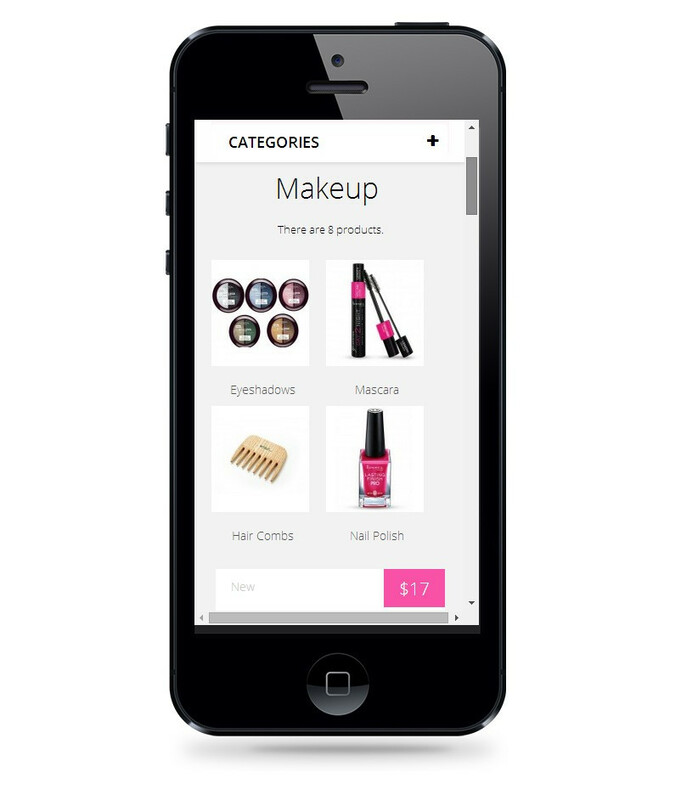 The theme supports all types of devices, both desktop and mobile, so you can be absolutely sure that your store will always look amazing and convenient-to-use under any device. 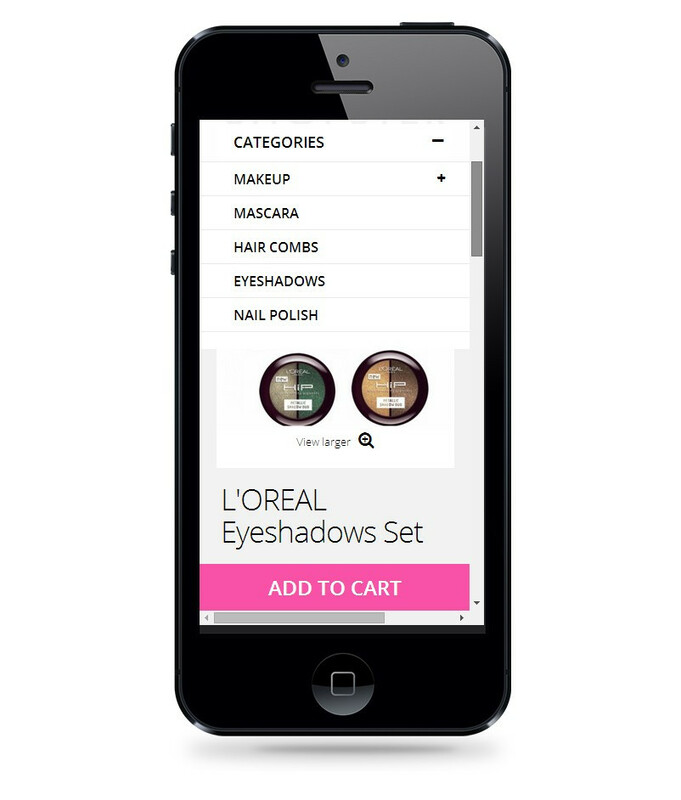 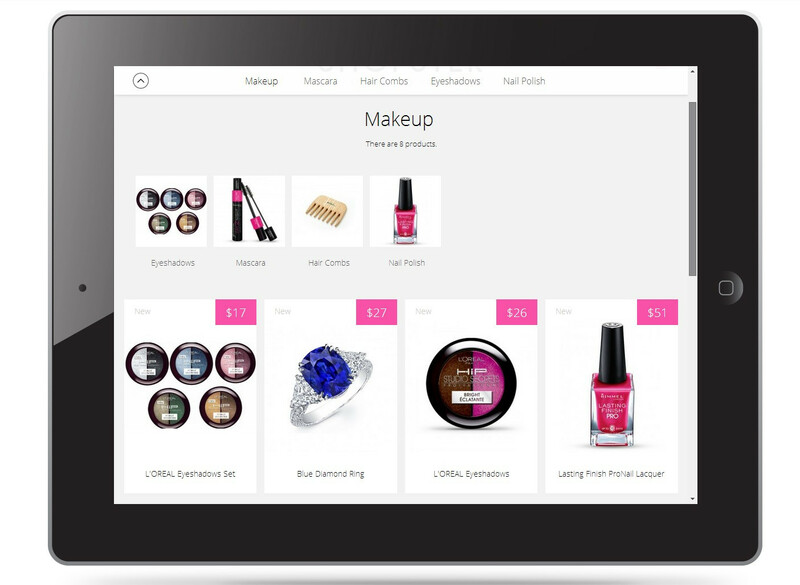 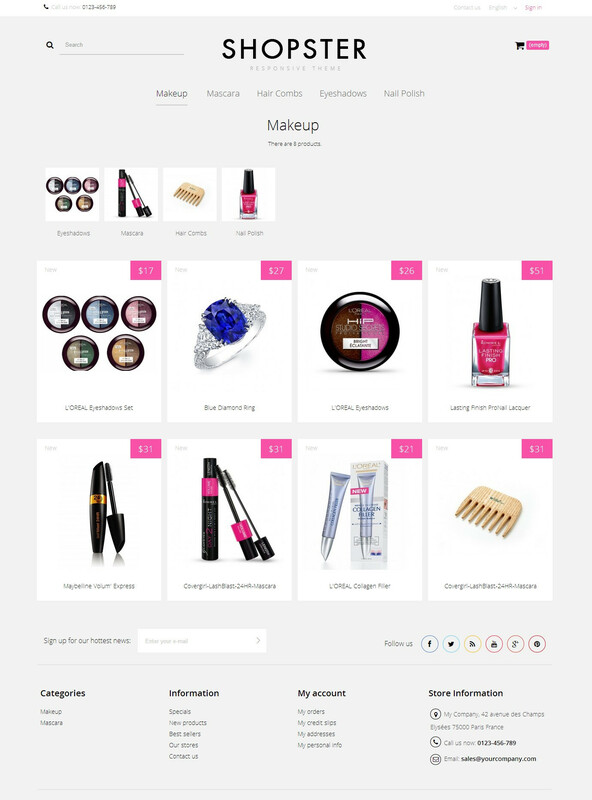 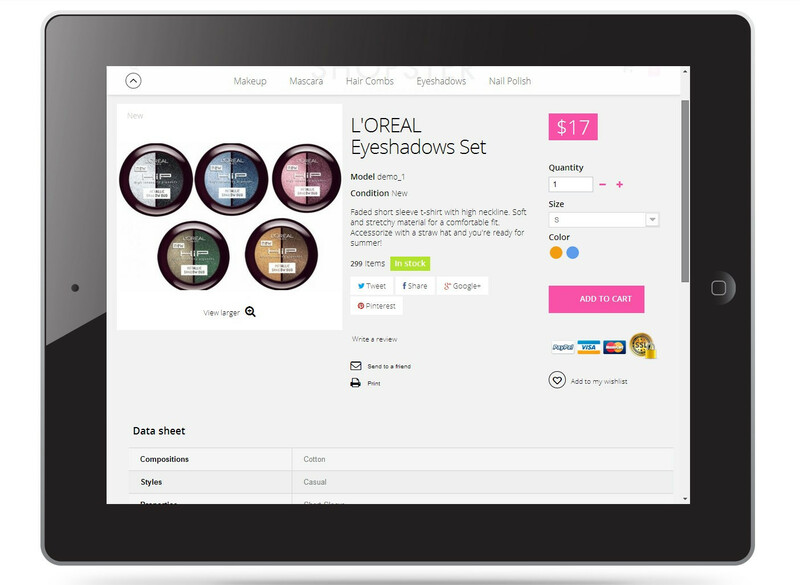 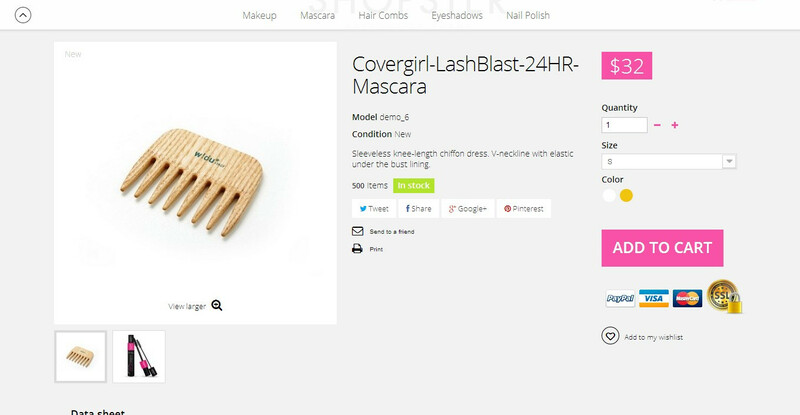 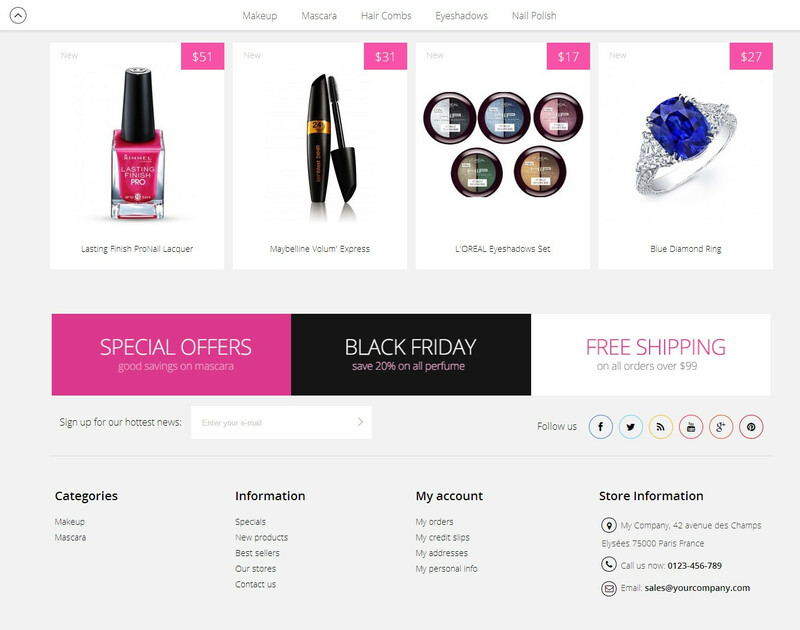 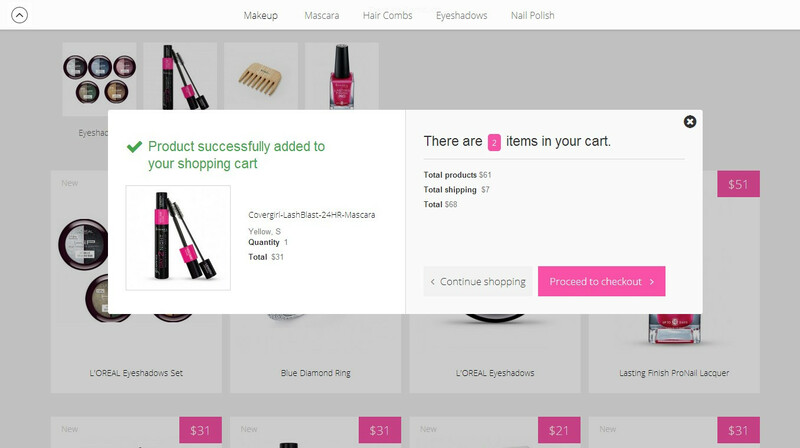 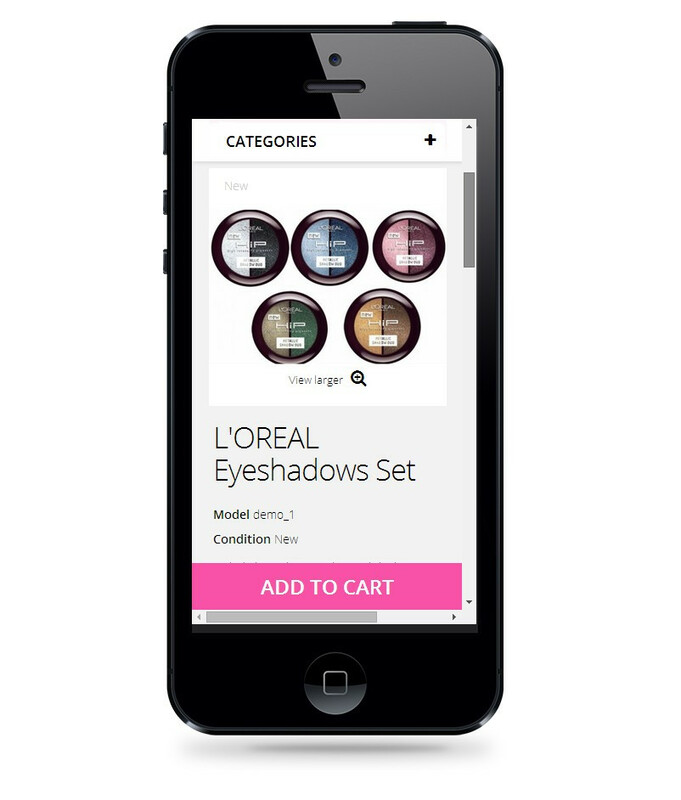 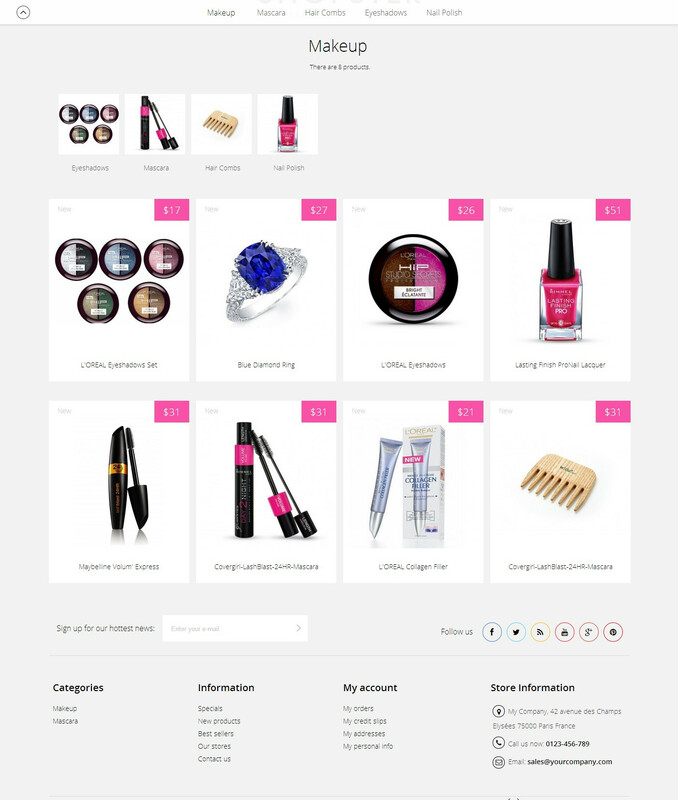 Shopster Glamour is a perfect theme to promote cosmetics and beauty products. 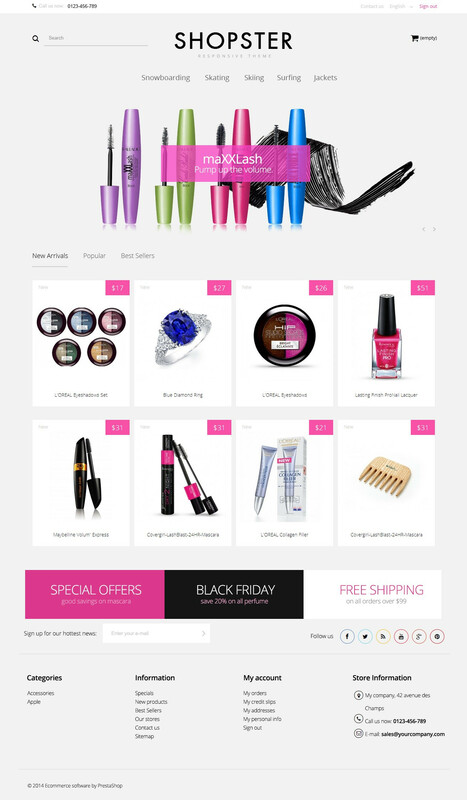 Eye-catching bright colors and attractive design will advisably highlight and underline products’ best sides and advantages, while such built-in features as Scroll Top and Fixed Page Header will make the navigation a super convenient experience. 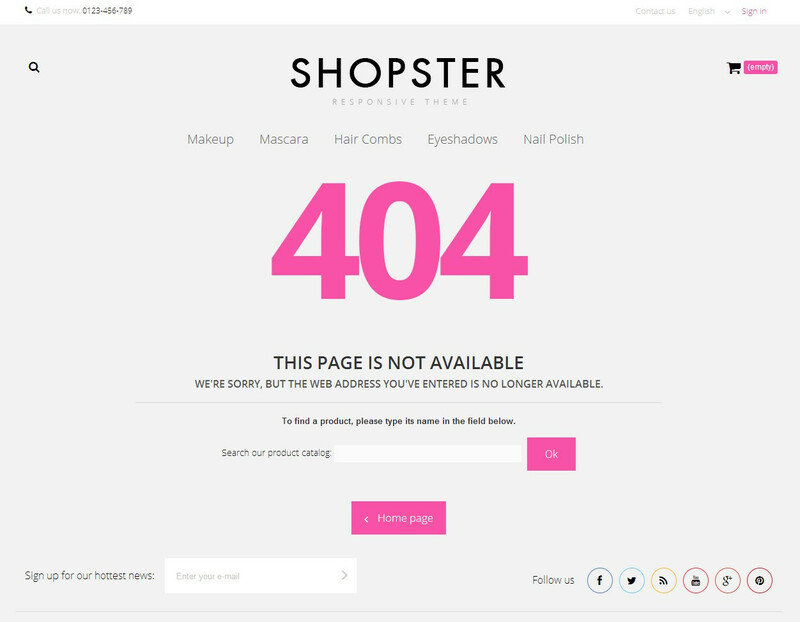 Try out the new Shopster Glamour theme and turn your web-store into an amazing and attractive site!